Profilactic recently sent out invites to its limited beta, and it's looking fairly impressive even at this early stage. Essentially, you can aggregate all of your digital creations (whether from MySpace, YouTube, or your own custom site) and put them all on what's called your Mashup. 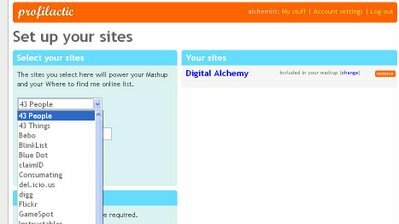 The Mashup lists blog posts, videos, and images that you've uploaded to sites around the web in blog format. 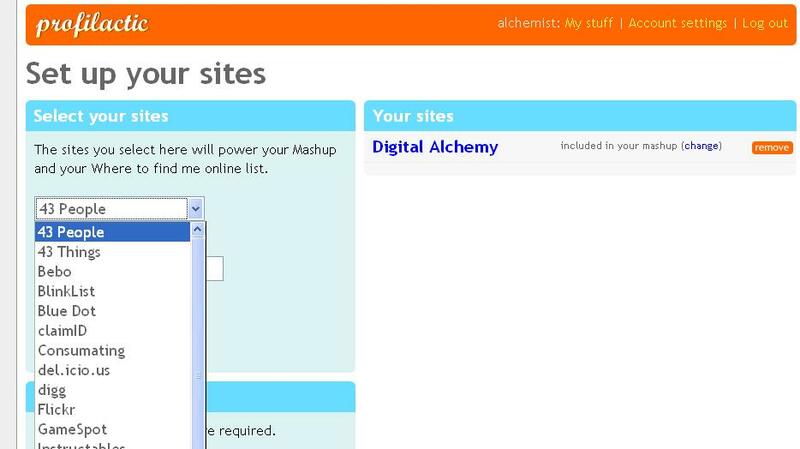 Depending on how many sites you choose to include, it might take a while for your Mashup to fully load. You might be reminded of a similar service reviewed earlier, Spokeo, which also sought to simplify your digital life by letting you manage all your social networks in one place. Fortunately, Profilactic has a better website design. A Clippings page lets you indulge your vanity by listing articles that mention you, but aren't written by you. Unfortunately, the Add a Clipping function wasn't working at the time of writing. Wisely, to help with viral marketing, Profilactic offers a badge that lists the sites you use it to manage that you can put on your blog or site. The social features of Profilactic aren't active yet so the Friends tab doesn't work, but I'm looking forward to the Friends Mashup, which will list all of your friends' content on one page. There's definitely a lot of promise in the field of aggregating social networking profiles, and I can see Profilactic badges popping up all over the place.